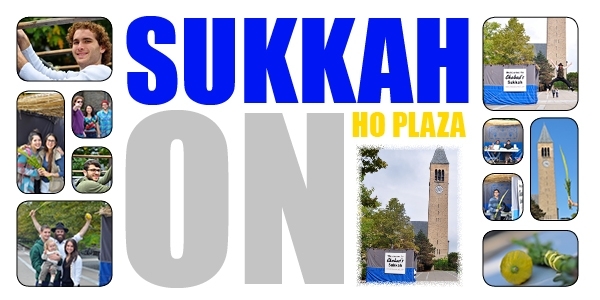 Shake the lulav & esrog on campus! Chabad erects a Sukkah on Ho Plaza for the festival of Sukkot. The Sukkah is available to the Cornell Community for Jewish students to shake the lulav and esrog, meet with other students and enjoy the opportunity to eat in a Sukkah on the holiday.